Or some two million people in the world ask you to stand tall for what you believe. No matter how they try to ban and change people, something just can’t change. 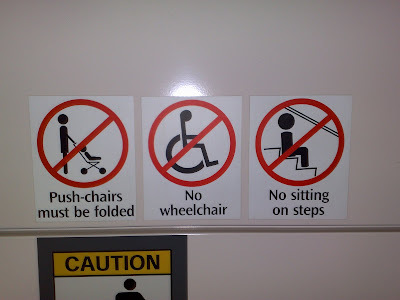 I saw this sign at some escalator in the town area today. Without explanation, they just confuse a square me. I thought they just banned parent with stroller from using escalator. Like that how to encourage production?